Build, learn, have fun, repeat. 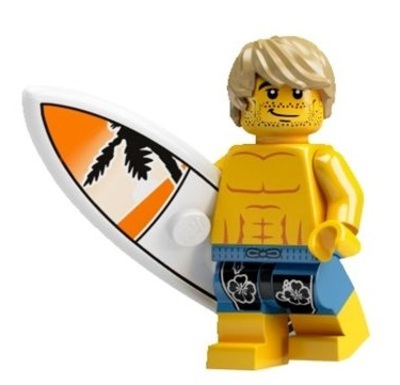 Thanks to Build It 4 Kids, your children have the opportunity to book onto an afternoon of LEGO® brick building fun over the summer school holidays. There are four Build It 4 Kids LEGO® Workshops set for January 2016. Two qualified primary school teachers lead each three hour session, held in the library of Mentone Primary School Library. Within each class, your kids try their hands at some Master Builder-ing! They will have a go at designing their own LEGO® creations, without using instructions. 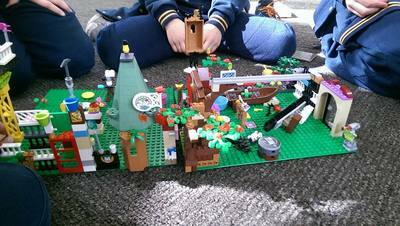 Each workshop also incorporates educational practices in the way of brick building using science and technology. Your kids will build simple machines, catapults, cranes and race each other in fun LEGO® contests. 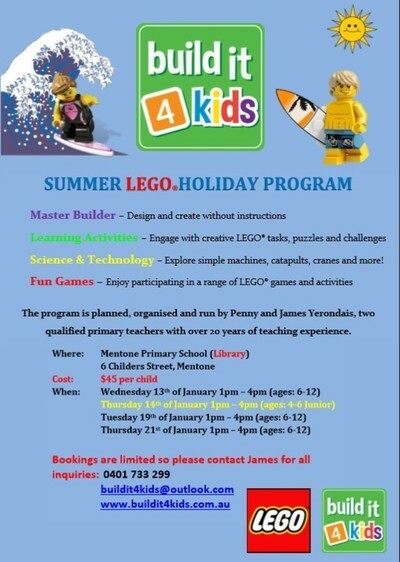 Your children's mentors for the afternoon, James and Penny, will also instigate fun games including LEGO® puzzles, challenges, games and activities. Workshops are split into two age groups; one session for juniors aged 4 to 6, and the remaining three workshops aimed at school aged kids 6 to 12 years. Book: Phone James 0401 733 299 or email yerondais33 (AT) hotmail.com.